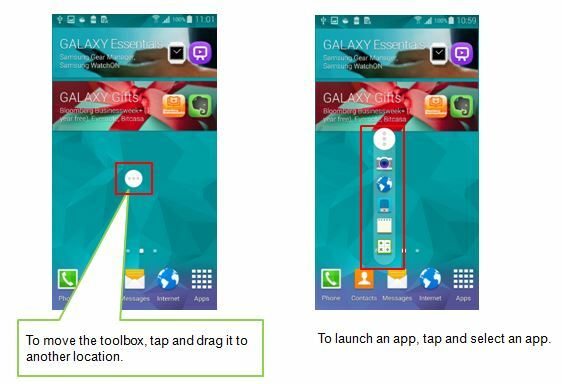 What is Floating Toolbox in Galaxy S5? You can easily launch various apps from the toolbox icon while using other apps. A floating shortcut menu will be shown on every screen. You can also customize which shortcuts appear on the floating Toolbox menu.